REVEAL Art Fair recently enjoyed two exhilarating days in New York City at four unique art fairs during Frieze Week. Braving intense rain, first we journeyed to Randall’s Island to Frieze New York, which brought together over 200 galleries from 30 countries in celebration of more than 1,000 leading international artists. 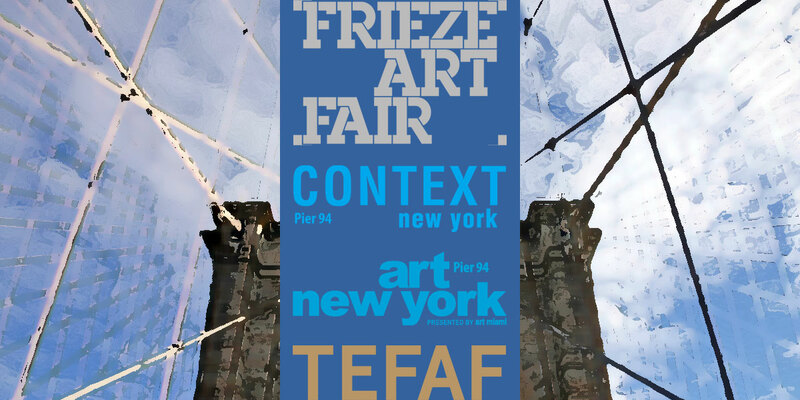 From there we headed to Pier 94 for CONTEXT New York and Art New York. These two events showcased art from more than 150 galleries representing nearly 1,200 artists from 50 countries. Finally, we rounded out our two-day adventure at the inaugural TEFAF New York Spring Fair, which featured 93 international exhibitors at the Park Avenue Armory. Below we present some photo highlights from the excitement of Frieze Week 2017! © 2018 REVEAL Art Fair, Inc. All rights reserved. PRIVACY NOTE: Information collected from you will not be shared with third-party marketers.